The ideal of religious freedom is so often presented as a timeless and self-evident American ideal. But its history is far more complex and contested than this exceptionalist narrative can allow. American ideas about religious freedom were continually reinvented through a vibrant national discourse—let’s call it “religious freedom talk”—that cannot be separated from the evolving politics of race and empire. More often than not, religious freedom talk worked to privilege the dominant white Christian population and to support US imperial expansion. At the same time, a diverse array of minority groups at home and colonized people abroad invoked and reinterpreted this ideal to defend themselves and their ways of life. In so doing they posed sharp challenges to the racial and religious exclusions of American life—but found their own identities and traditions transformed in the process. 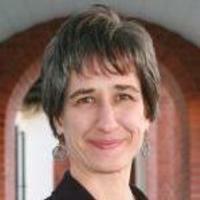 Tisa Wenger is Associate Professor of American Religious History at Yale Divinity School. Professor Wenger’s research and teaching interests include the history of Christianity in the nineteenth- and twentieth-century United States (especially the American West), the cultural history of the categories of religion and secularism, the politics of religious freedom, and the intersections of race and religion in American history. Her first book We Have a Religion: The 1920s Pueblo Indian Dance Controversy and American Religious Freedom (2009) shows how dominant conceptions of religion and religious freedom affected the Pueblo Indians of New Mexico as they sought to protect their religious ceremonies from government suppression, and how that struggle helped reshape mainstream views of religion and the politics of Indian affairs. Her latest book Religious Freedom: The Contested History of an American Ideal (2017) examines the history of religious freedom as an American ideal, tracing its multiple and shifting deployments throughout U.S. history as tied to the evolving politics of race and empire. Convened by Laura McTighe, Society of Fellows, Postdoctoral Fellow in Religion. Funded by the Dartmouth Society of Fellows and co-sponsored by the Department of Religion.